Prices were rather stable this past week across the board, with each coin having its lowest point on Tuesday, following up with its highest on Saturday. This included Bitcoin surpassing the $4k mark, which carried over until the end of the week. In addition to this, the widow of QuadrigaCX’s founder speaks out, Ledger discusses alleged vulnerabilities in Trezor wallets, and Ripple’s Xpring and Forte form a $100m fund for blockchain game developers. Bitcoin (BTC) opened on Monday at $3,953.74 and closed at $3,905.23. The price of BTC remained relatively stable throughout the week. The coin hit its lowest price on Tuesday when it dipped down to $3,863.56. The opening and closing on Tuesday differed by just 0.1%, and Bitcoin’s price increased minimally until it reached its high on Saturday: the coin finally surpassed the $4k mark, peaking at $4,077.04. On Sunday, BTC stayed above $4k, opening at $4,047.72 and closing at $4,025.23, with a 0.5% loss for the day and a 1.8% gain for the week. Bitcoin’s market cap increased 3.1% this past week, going from $68.7B on the 11th to $70.8B on the 17th. Ethereum (ETH) started Monday at $136.85 and went down 2% during the day, closing at $133.83. The low point of the week happened on Tuesday when ETH coin sunk to $130.94. By the end of the day, however, it was back at $134.44 and stayed in that area for the rest of the week. On Friday ETH’s price started to rise, and by Saturday the coin peaked at $144.56, a 10.4% gain from its lowest on Tuesday. The altcoin opened Sunday at $142.24 and closed at $140, a 1.6% loss for the day and a 2.3% gain for the week. Ethereum’s market cap went from $14.08B on the 11th to $14.74B on the 17th: a 4.7% increase. Ripple (XRP) opened the week at $0.313175 and closed Monday at $0.311065, a 0.7% decrease for the day. Tuesday witnessed XRP’s low at $0.307536. On Wednesday XRP’s price saw a 3% 24-hour increase, hitting $0.320114, and then back down to close at $0.314098. The next 2 days didn’t see any significant fluctuation; the peak of the week came on Saturday at $0.322413, a 4.8% increase from Tuesday’s low. On Sunday, XRP coin opened at $0.320387 and closed at $0.317612, ending the day with a 0.8% loss and 1.4% gain for the week. Ripple’s market cap closed Monday at $12.89B and closed Sunday at $13.16B, with a total increase of 2.1%. Litecoin (LTC) started the 11th at $57.19. It didn’t fluctuate significantly during the day, closing Monday at $55.42, a 3.1% decrease. Like other altcoins, LTC also had its low on Tuesday at $53.50; nevertheless, by the end of the day, the coin had gone up to $57. Wednesday and Thursday were rather stable, opening at $57.08 and closing at $56.58 respectively. On Friday, LTC’s price started increasing, and following the crypto market’s trend, Saturday saw LTC’s high, peaking at $62.09, an impressive 16% increase from Tuesday’s low. On Sunday the coin’s price remained stable, opening at $61.88 and closing at $61.24, a 1% loss for the day and a 7% gain for the week. Litecoin’s market cap was at $3.37B on Monday and $3,73B on Sunday, increasing 10.7% during the week. EOS started the week at $3.73 and it closed Monday at $3.6, losing 3.5% of its value during the day. The low of the week happened once again on Tuesday, with EOS’s price sinking to $3.49, a 6.4% cutback from Monday’s opening price. The rest of the week didn’t see greater changes, and the price of EOS coin rose slightly towards Friday. On Saturday the high of the week took place, adding 10.3% to its value on Tuesday and peaking at $3.85. EOS closed Sunday at $3.78, with a 1.3% loss for the day and a 1.3% gain for the week. EOS’s market cap was at $3.26B on Monday and by Sunday it had increased its value by 5%, closing at $3.42B. TRON (TRX) opened Monday at $0.022892 and closed at $0.022245, sustaining a 2.8% decrease for the day. Following the pattern of the top 5 coins, TRX’s low of the week happened on Tuesday, with the coin bottoming at $0.021856. For the rest of the week, the coin experienced changes similar to Monday’s. The price went up on Friday to $0.023244 and never went back under $0.023. The high of the week arrived on Saturday, with TRX hitting $0.023651, an 8.2% increase from Tuesday’s low. TRON started Sunday at $0.023369 and ended at $0.023140, with a 1% loss for the day and a 1.1% gain for the week. TRON’s market cap was $1.48B on the 11th and increased 4% throughout the week, achieving $1.54B on the 17th. In an official statement published on Mar. 13, Jennifer Robertson, widow of the late QuadrigaCX founder Gerry Cotten, says Cotten used his own money to fund the exchange when the Canadian Imperial Bank of Commerce (CIBC) froze several of their accounts last year due to litigations. According to the statement, Cotten had been funding users’ withdrawals in 2018 after five accounts were frozen, which accounted for $21.6 million. Those were the accounts that belonged to Costodian Inc. and Jose Reyes, the cryptocurrency exchange’s payment processor and owner, respectively. The reason for freezing the accounts and its funds was that there was apparently no way of identifying the owners of the funds, as they could belong to QuadrigaCX, Costodian, or any of the roughly 400 users who had deposited funds. To this, Quadriga said that the funds were frozen mistakenly, by claiming that they owned the majority of the funds and that there was no evidence that says otherwise. An important detail about Jennifer Robertson’s statement is that it is based on something that Cotten allegedly said to his wife, and no proof that this actually happened was given. The statement also discloses relevant information regarding legal representation; it states that Stewart McKelvey, the firm that represents the exchange legally, would cease its association with QuadrigaCX due to a conflict of interest. The Canadian Securities Administrators (CSA) and the Investment Industry Regulatory Organization of Canada (IIROC) issued a joint consultation paper on Mar. 14 to gather feedback on cryptocurrency token regulation. CSA Chair Louis Morisse stated in a press release that the consultation “outlines a proposed regulatory framework that provides clarity for platforms, greater market integrity and protection for investors”. IIROC president and CEO Andrew J. Kriegler stated in the same press release the importance of providing the necessary clarity to the market regarding the appropriate regulatory requirements that can be applied to these platforms. Following a discussion paper published on Mar. 11 that analyzed the possibility of using distributed ledger technology and blockchain for securities, the Association of German Private Banks discussed the need for new regulations linked to the new DLT-based securities. The association states that “various civil and regulatory adjustments have to be made” and that “adaptations of civil and regulatory requirements at national and European level may be necessary” due to the changes these technologies will affect in business processes. Finally, US SEC Chairman Jay Clayton has confirmed in a letter response to representative Ted Budd (his original letter is here) that Ethereum and other cryptocurrencies like it, are not securities under US jurisdiction. He also noted that an asset’s qualification can change over time (it may be a security at some point, and then not). Following severe banking problems, the Hong Kong-based crypto exchange Gatecoin received a winding-up order from a court that thus far has not been disclosed, as announced by the exchange’s website. Along with the winding-up order, the court appointed a provisional liquidator to force the insolvent company to cease operations with immediate effect. According to an official statement, Gatecoin’s financial demise stemmed from its troublesome working relationship with their Payment Service Provider (PSP) in 2018. According to the exchange, the PSP “failed to process most of the transfers in a timely manner, which in turn almost paralyzed our operation for many months and caused substantial loss on our side”. Moreover, the PSP retained a large part of their funds, which led to Gatecoin taking legal action against them. However, they were not able to recover the funds, which led to Gatecoin becoming insolvent. According to their Wikipedia article, Gatecoin was the first exchange to list Ethereum, back in 2015. However, Gatecoin is most widely remembered by their 2016 hot wallet breach, which resulted in the loss of 185,000 ETH and 250 BTC, valued in USD 2 million, which was 15% of the total crypto-assets held by Gatecoin at the time. If this hack had happened today, the currencies would be valued at roughly USD 27 million. The Stellar Development Foundation published a press release on Mar. 14 announcing that they have named Denelle Dixon, former Mozilla COO, as Executive Director and CEO. SDF’s co-founder and current Executive Director Jed McCaleb will transition to Chief Architect and will continue to work on the network protocol and Stellar’s adoption strategy. Jed McCaleb, current CEO of the SDF stated they’re “thrilled to have Denelle lead the Stellas Development Foundation on its next phase of growth”. He also named Dixon’s experience at Mozilla and her work as an advocate for Open Internet and encryption and privacy as indispensable for the development of the foundation. In a press release published on Mar. 12, Forte, a provider of blockchain-based platform technology for the gaming industry, announced they have partnered with Ripple’s developer ecosystem initiative Xpring. The two have created a $100 million fund to support game developers. The fund targets game developers operating live game economies with more than 50,000 daily active users who are interested “in using blockchain to unlock support for new game designs and drive business results.” It will operate alongside Forte’s platform and include open-source solutions designed in collaboration with Ripple. Following a Mar. 11 blog post where Ledger disclosed five vulnerabilities of Trezor hardware wallets, the maligned hardware wallet manufacturer responded with their own blog post the following day, downplaying the reported vulnerabilities. The vulnerabilities found by Ledger were first disclosed during the #MITBitcoinExpo, by Charles Guillemet, CSO at Ledger. The five vulnerabilities that were found were the following: problems with the supply chain (related to how the genuineness of a Trezor hardware wallet can be replicated), the level of security of its PIN protection, confidentiality of data inside the device (in two different models; Trezor ONE and Trezor T) and vulnerability to side channel attacks. In response to Ledger’s findings, Trezor claimed that some of the alleged vulnerabilities, such as the problems with the supply chain, were actually “everlasting problems for all hardware devices (not only wallets), no matter how well they can be protected”, thus claiming that this was an out-of-scope vulnerability. As for the other vulnerabilities that were reported by Ledger, Trezor claims that none of them can be exploited remotely and that these attacks would require actual physical access to the device, knowledge of the PIN, specialized equipment, and highly developed technical expertise. 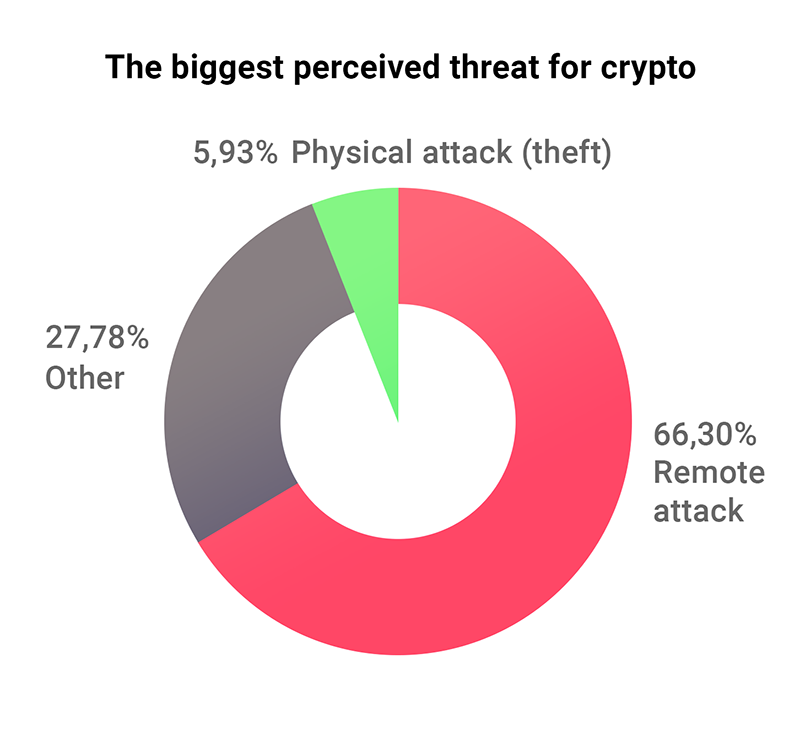 To this, Trezor cites the results of the recent study they carried out with Binance, which showed that roughly 6% of hardware wallet users think that physical attacks are their greatest threat. Additionally, Trezor claims that most of the vulnerability issues have been patched. Emaar Properties, a real estate giant from Dubai, recently announced their plans to launch their own digital currency, with an initial coin offering being considered within 12 months of the operational launch of the blockchain platform, as reported by Arabian Business on Mar. 11. Dubbed the Emaar Community Token, the planned token will allow Emaar’s customers and stakeholders to enjoy the benefits of a full referral and loyalty system, making it one of the first referral and loyalty tokens in the world that gives access to an already existing operational ecosystem that’s worth nearly $10 billion. It was also reported that the token will be transferable across the entire ecosystem, which encompasses several industries such as real estate, shopping malls, entertainment, and online shopping. According to Mohamed Alabbar, chairman of Emaar Properties, this cryptocurrency token marks a significant leap in Emaar’s journey of digital transformation. The community token will be developed by Lykke, a blockchain startup from Switzerland. In terms of specific details about the token, it was also reported that the token will comply with the ERC20 token framework, and it will be based on the Ethereum blockchain. This announcement comes after a very successful 2018 where they experienced a 37% revenue growth and 39% brand value increase, taking these figures to $7 billion and $2.7 billion respectively. Emaar Properties is also widely known for being the developer of iconic projects such as Burj Khalifa, the tallest building in the world, and the Dubai Mall. Mark Karpeles, former CEO of the now-defunct cryptocurrency exchange Mt. Gox, has been found guilty by the Tokyo District Court for tampering with financial records. As reported by Bloomberg on Mar. 15, Karpeles was found to have sometimes mixed the exchange’s finances with his own in order to hide the fact that Mt. Gox had lost assets due to attacks from hackers. However, he was cleared of embezzlement charges, as no evidence was found that he intended to steal the assets. He then received a suspended sentence of two and a half years, which will most likely free him from serving time in jail, as he won’t be incarcerated unless he commits another violation within the next four years. After its infamous 2011 hack, which affected around 240,000 people, Mt. Gox filed for bankruptcy protection in 2014, disclosing that it had lost 850,000 BTC, valued at $500 million at the time and at more than $3 billion at press time. Throughout his entire ordeal with the Japanese justice system, Mark Karpeles has denied any involvement in the disappearance of the Bitcoin, maintaining his innocence. He professed his innocence on Mar. 8 on a reddit post that claimed that he offered to buy Tibanne from Brock Pierce while imprisoned, saying that he was “not going to prison”. He has also stated that he has been treated unfairly by the Japanese justice system, claiming that he was interrogated for a month without legal representation and that he was bullied into signing a confession. According to an official statement on Mar. 14 by the Chicago Board Options Exchange (CBOE), the Chicago Futures Exchanges (CFE) will no longer offer new contracts for Bitcoin Futures in March 2019. The statement reads that the CFE is “assessing its approach with respect to how it plans to continue to offer digital asset derivatives for trading.” and that “CFE does not currently intend to list additional XBT futures contracts for trading.” The CBOE notes that all currently listed futures are still available for trading, the latest of which, XBTM19, will expire in June. It has been reported that the reason behind this is that the CBOE Bitcoin trading volumes have been disappointing, especially compared to the trading volumes of Bitcoin futures from the Chicago Mercantile Exchange (CME). However, this announcement was received quite positively by traders, as they claim that the market simply favored the better contract (referring to the better trading volumes of Bitcoin futures from the CME) and that CBOE delisting futures will not affect the value of Bitcoin since it was cash-settled, and it didn’t involve the transfer of actual BTC. This, contrasted with the upcoming bitcoin-settled BTC futures contracts that are going to be introduced by firms such as Nasdaq, ErisX and CoinFLEX, leaves many to think that the delisting of futures contracts by CBOE is actually a positive thing. During a meeting that took place on Mar. 15, Ethereum devs once again discussed and reaffirmed the conclusion that the proposed ProgPow, an ASIC-resistant Proof of Work algorithm, should be implemented (though no dates were agreed upon). The point of this update, which is supported by a vast majority of ETH holders, will be to diminish the efficiency advantage of ASICs over other forms of mining, like GPU. The implementation of the ProgPow algorithm has already been agreed upon and changed in the past; the original date, for early January, was delayed until the algorithm could be audited by a third party in early February. ProgPoW has caused some commotion among the Ethereum community; some have even accused the developers working on ProgPoWof protecting and representing the interests of GPU companies like Nvidia and AMD. This week ended up being especially promising for crypto developers, as blockchain game devs will greatly benefit from Ripple’s Xpring and Forte’s partnership, because funds like this or TRON Arcade drive developers to take blockchain gaming to the next level. However, this week also showed promise for regular traders because of the possible positive implications of CBOE’s delisting of Bitcoin Futures and the involvement of real estate giant Emaar.